It's easy to forget how delicious cabernet sauvignon is. Often married with merlot or hidden in blends, the wine might be perceived as old-fashioned and austere. A draught horse lapped by colts pinot noir and riesling. Cabernet sauvignon is a wonderfully rewarding wine, though – juicy, rich and bursting with blackcurrant and berries. The Coonawarra region of South Australia's Limestone Coast makes some of the best cab sav in the world and it's absolutely worth spending a weekend in the remote area to taste the wine at its source. Whether you've arrived in a hire car from Mount Gambier airport or taken a detour between Melbourne and Adelaide, food, before wine, is very important. The wood-fired pizzas at Drink Ottelia + Eat Fodder are fresh and simple, letting local zucchini, basil and mint shine on a sourdough base. A share plate menu features salad bursting with happy tomatoes and shiso from the kitchen garden and the restaurant doubles as a cellar door for the lovely people at Ottelia wines. Huzzah. Check into Bellwether Wines for glamping-style accommodation surrounded by ancient red gums and where owner Sue Bell will bring you fresh sourdough in the morning. If you prefer weatherboard walls to canvas ones, there's plenty of cosy accommodation in the region such as Pyrus Cottage featuring a fireplace to enhance your red wine enjoyment. Bellwether is worth a visit regardless for its natural yeast-fermented cabernet sauvignon made with hand-picked Coonawarra grapes. 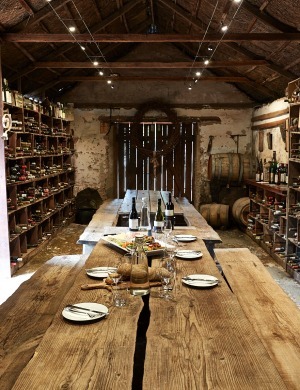 The cellar door is a restored shearing shed that now hosts six-course degustations (you'll need to provide at least 48 hours' notice if you're keen) and live music such as Tex Perkins and Archie Roach. Camping guests are invited to buy a lamb leg from local butcher David Meek and roast it under the stars using Bell's cast-iron dutch oven and home-grown rosemary. The town of Coonawarra is super tiny – little more than a general store, cafe and petanque club. You'll need to drive 10 minutes into Penola for more dinner options. Located in what once was a weatherboard church, Pipers of Penola is the region's Big Night Out hot spot and features a cellar stocking many of the greatest hits from Coonawarra and South Australia plus a few prestige drops out of Bordeaux. 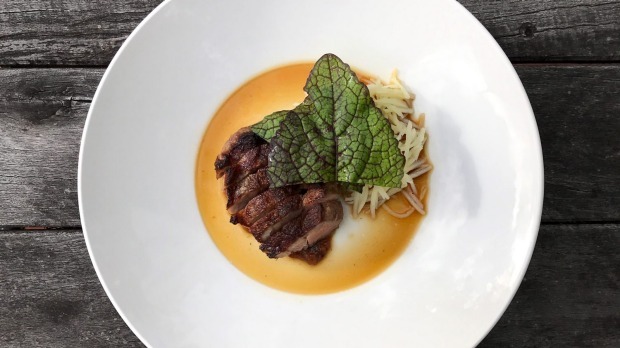 The menu preaches contemporary Australian and you'll be hard-pressed to find a better cabernet match than a roasted eye fillet with smoked potatoes and mushroom fricassee. DiVine Cafe does a bang-up job of breakfast standards (egg, bacon, hollandaise, crumpets) plus beaut coffee and excellent pastries. Be sure to leave with a couple of Portuguese tarts for picnicking purposes later in the day. Walk off breakfast with the Penola Heritage Trail, which includes many of the town's National Trust cottages, before grabbing a baguette from Windara Bakery for cellar door sustenance. There are more than 20 cellar doors in Coonawarra with terrific cabernet plus some damn fine chardonnay, shiraz and blends. 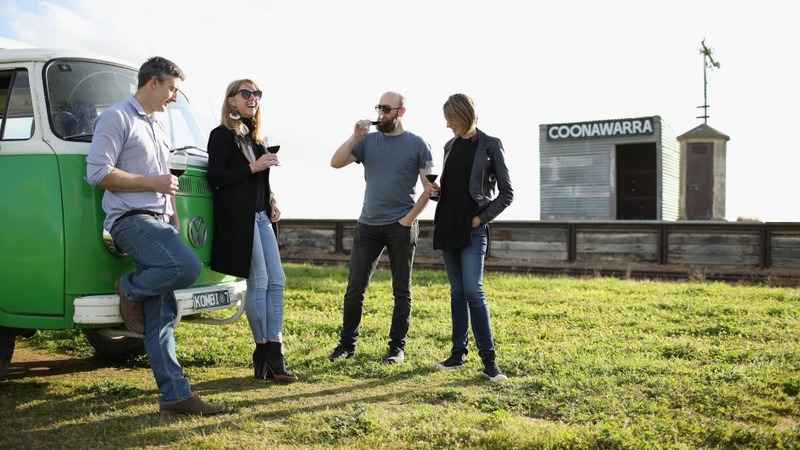 The legends at Coonawarra Experiences will be able to tailor a cellar door adventure without the buzz kill of driving yourself. Balnaves, The Blok Estate, Raidis and Rymill are all worth a visit. 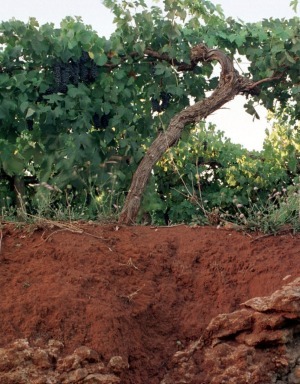 The high quality of Coonawarra cabernet owes much to region's famed terra rossa (red soil) – a tiny, cigar-shaped stretch of red clay over limestone that provides optimum nourishment and vigour for its fruit. Coonawarra Wineries Walking Trail is a magnificent afternoon on the terra rossa and takes in six of of region's best cellar doors. Allow roughly three hours to complete if you spend 20 minutes at each winery. Zema Estate has been family-owned and operated since 1982 and it's an excellent place to start your walking trail tasting. Pick up a jar of Mrs Zema's hot chilli paste and you're doing things right. Just up the road, DiGiorgio Family Wines has good value chardonnay and a brill selection of terrines, local cheese, quince paste, piccalilli, olives and salamis that will come in handy for that picnic later. Brands Laira is chock-full of history and has the oldest vines in Coonawarra still producing wine in significant volumes. Planted in 1893, the gnarly old vines are to your right as you walk through the winery gate, and you can find their fruit in Brands' Stentiford's shiraz. Brand's Laira's oldest block of terra rossa cabernet sauvignon shines in the "1968 Vines" release, only available at the cellar door, where you can drink a glass in "Eric's Shed", the old meeting, dining and imbibing room of winery founder Eric Brand. The cellar door team will sort you out with a cheese platter if you order ahead. Redman Wines and Wynns Coonawarra also feature on the walking trail. Wynns "Black Label" cabernet sauvignon, featuring a woodcut of the winery's frontage, is one of Australia's most famous wines and it wouldn't be a proper visit to Coonawarra without a visit to the cellar door. If you're inclined to learn more about the region's history, this is the place to do it. By now you should have a nice red or two, a baguette and a healthy amount of smallgoods under your arms. Take your little picnic parcel down to the old Coonawarra railway siding, about a 15-minute mosey from Wynns. Here you can eat and drink and stream Neil Young on your smartphone until the battery goes flat. Hollick Estates winery is home to a modern Australian restaurant featuring vineyard views and a respectable cellar. Time your run for dusk to take in the sunset. There's two reasonably ordinary pubs in Penola if you're desperate for a post-dinner pint, but you'll probably have a better time drinking wine at home with any leftover cheese from the day's adventure. Take a journey through the bush to Robe, a charming little port town on the Limestone Coast about one hour's drive west of Coonawarra. The Adventurous Spoon cafe is much-loved by locals and dishes like pork and fennel meatballs with poached eggs and ciabatta will right any wrongs from the night before. From Robe it's a 90-minute drive to Mount Gambier airport or three-and-a-half hour's drive along rugged coastline and wild bushland to Adelaide. Or you could just spend another night back in Coonawarra, drinking world-class cabernet in a button-cute cottage. Phone off. Fireplace flickering Yep, that sounds like the best idea. Monday can sort itself out. Callan Boys travelled as a guest of Brand's Laira.